Has A Place: Chair Rail and Picture Moulding! Chair Rail and Picture Moulding! Chair rail height is supposed to be approximately 1/3 of the wall, between 32 and 36 inches. I'm sure it isn't that big of a deal. As long as the lines are straight the boxes are even it will look great! I believe this is the simplest way to add dimension, interest and luxury to any room. 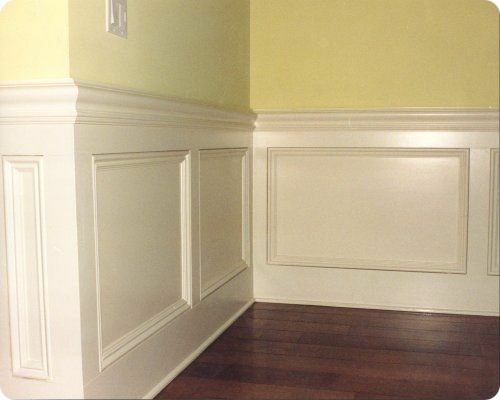 Crown moulding is a little trickier, it is installed at an angle and cut at an angle. This is something I need professional help with! Stay tuned, I will go through the whole process!